Starting your own plumbing business could either be a bad decision or a terrific idea. Starting any kind of a business, not just a plumbing one, demands structured thinking with the aim of ensuring you’ve thought out everything with no doubts left. Although it can be a challenging decision to make, you can follow this planning process. This process has all the key aspects of starting any plumbing business covered, including how to get your plans and strategy right. With these tips, you’ll be assured of starting a successful plumbing business. Read on to learn more about the planning and strategy process you need to follow. Starting any kind of a business, be it a bakery, plumbing company, or a glass company, demands you to utilize the same thinking strategy. You can use the acronym EASI to keep this strategy in mind. In the acronym EASI, E refers to emotion, A refers to achieving success or a win, while S refers to straightforward and simple, and I refers to implementation. Everyone who desires to venture into business should know that the process will be full of stress, worries, challenges, hardships, and other issues. Starting any kind of business is comparable to falling off a tall cliff. You will have to work extra hours and go through sleepless nights. That’s why most start-ups fail. The first thing you should do is to ask yourself why you really want to establish a business. While doing this, examine the feeling or emotions behind the idea of establishing a new plumbing business. Every entrepreneur has their own goals and reasons for starting a business venture. Some people do it due to unemployment, others want to quit their job for one reason or the other, and others want to be extremely rich. Regardless of the reason, it’s important for an entrepreneur to know whether they’re emotionally strong for the venture. Their emotional strength will determine their motivation and the forces pushing them towards the venture. It will also allow them to determine whether they can handle the challenges that come with establishing a business and whether they require emotional management. The second aspect of the thinking strategy is all about the goal or vision of the business you want to establish. Without a good vision, your new plumbing venture might end up leading in losses and being written off. Your aim might be all about putting your kids through school or familial survival. Either way, you should understand your goal and vision of your business to ensure prospects can buy your idea. Without a shared vision, your strategy and plan may fail. Different aims and goals will pull everything apart rather than pulling everything together in one direction. It’s quite effortless to complicate the way you do things. However, a real businessperson should make everything simple regardless of the situation. This kind of strategic thinking is supported by the most renowned entrepreneurs of all time, including Sir Richard Branson, Jeff Bezos, Elon Musk, and Bill Gates among others. For instance, Albert Einstein wouldn’t explain something you can’t understand yourself to a 5-year-old. Doing so would be meaningless. You should use such strategic thinking to keep your strategies and plans very simple and completely straightforward. You should set a vision and goal that all stakeholders involved can easily buy into. Consider where you are and make a plan to realize your goals in a way that everyone can understand and appreciate. Every business must do planning as per these strategies to realize success. When initiating your plan, start with completing a practical, genuine, and real business plan. It should be easy to compile a business plan upon going through the aforementioned thinking process. Failure to spend enough time on aligning your business plan with the business strategy may lead to failure of your start-up. A major factor that determines the success of a business is the strategy and how it’s aligned with the overall business plan. Also, it’s important to go into each and every aspect of a business plan thoroughly while repeating the strategy thinking plan on a regular basis and involving all stakeholders. Once you’ve compiled your business plan in detail, and you have included all the pragmatic and realistic inputs, you can go ahead and undertake the five aforementioned implementation plans. Although these implementation plans should be tied together with the overall business plan. Also, you need to expand on each detail in the implementation plan. For instance, when establishing a new plumbing business, all areas of the implementation plan need to be examined in detail. Doing so is not intended to intimidate prospective entrepreneurs in the plumbing industry but to show why strategic thinking is extremely important and why it is important to conduct it in detail. It’s also necessary to note that using the services of experienced and effective business consultants can make your start-up more likely to succeed and save you more money and time in the long term. The business areas related to plumbing that need to be considered when planning are business strategy, financial planning, marketing and sales, human resource and communication, and projects. Here are some tips on how you can succeed in these areas. Since strategic planning has already been discussed in this guide, you should now understand what financial planning is all about before starting your plumbing business. You need to examine the expenditures of running the business and its potential income. Although these considerations are part of the main strategy of your business, the practical areas of any plumbing business should be known to all stakeholders. 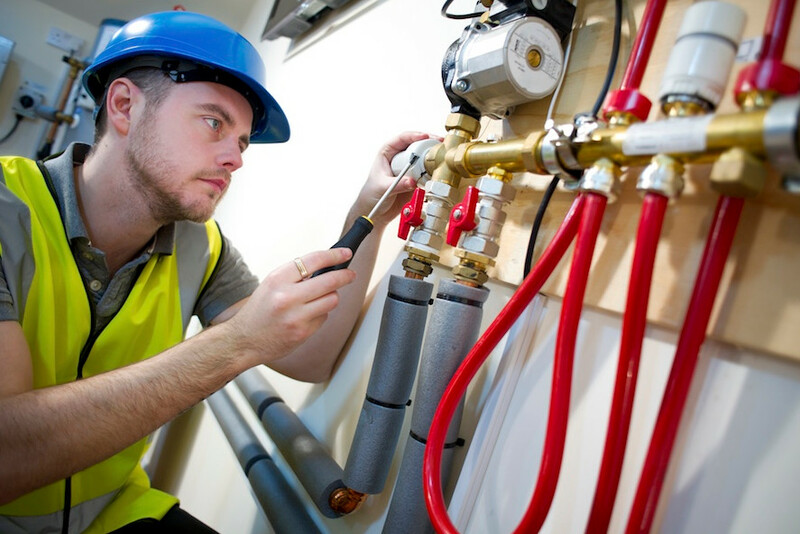 They will assist in planning using their knowledge and experience in the plumbing industry. You need to determine the costs of maintaining supplies and stock, transport, office premises, and surviving until you start being in profit. Being in profit means that the overall income from the business exceeds the overall costs of running the business. You need a detailed plan of all financial consideration including the likelihood of taking up financial support, generating loans and getting paid up front. Remember to consider stakeholder input while making your financial plan. The income you’ll get from your plumbing business will be based on the overall volume of work done and charges on the work done. For your business to be successful, its income should exceed the overall costs of running the business. The aim and goal of any marketing and sales plan should be profiting from a business. Today, the internet and social media have brought new avenues for marketing businesses. As a businessperson starting a plumbing business, you should determine who you’re targeting as prospects to bring revenue to your business. You may opt to keep your business small and offer after-hours plumbing services to neighbors, friends, and even family, or you may choose to target medium to large corporate tenders and projects. Thus, a good start should be understanding the exact behavior, likes, wants, aims, and needs of the target market. Once you understand your prospects, you’ll stand a better chance of succeeding as a start-up. For instance, a plumbing business that targets the lower class market should market its services using posters and the print media. On the other hand, a plumbing business that targets the upper-class market can use the internet and social media since most of such individuals would be easier to reach through the internet. Human resource and communication demand for detailed planning. You might need a customer care or marketing department, or even both, based on the kind of structure that your business has and its key selling points. Having such departments will be crucial in determining the chances of your business succeeding. Proper structuring and planning of a business are extremely important. You need to plan and structure it based on your overall goals and mission. In most instances, plumbing services are done on-site. Thus, each and every operation need to be handled as an individual project with effective on-site management. Any service-oriented business should be properly managed. As such, it’ll be essential to observe the key principles of managing projects. However, project management shouldn’t be viewed as a complicated issue. It should be straightforward and simplified in such a way that communicating it with the stakeholders in each project will be easier. If you follow and conduct the aforementioned steps efficiently and thoroughly, with the vision of your business in mind, while being positive, your business will stand a better chance of succeeding. However, this isn’t something to do within minutes. A detailed thinking process requires commitment and honesty. There’re certain aspects to remember before starting the strategic thinking and planning process. First, you need to audit your stakeholders’ emotional intelligence in plumbing. Just like any other service-oriented business, plumbing demands on-site services and hard work. There’re many things that can go wrong in the plumbing industry. Thus, having stakeholders with a lot of emotional intelligence will be an indicator of succeeding. Emotional intelligence is all about the ability to handle the challenges and stresses that come along with running a new business. It involves training the mind to search for effective solutions when going through challenges. It also involves being an effective team leader who can smoothly run a business while it’s undergoing tough times. However, emotional intelligence doesn’t involve a leader who gives in to vindictiveness and anger. Emotional intelligence is something learnable and can be improved upon. Thus, it’s something that can be easily developed. However, it has to be determined prior to starting a business. Secondly, it’s crucial to know the importance of knowledge. For instance, a hairdresser who sees their plumber friend becoming rich from a plumbing business, and decides to set up their own plumbing business, would have made a terrible decision. For any business to become successful, it should be done right. The plumbing business is extremely competitive. Thus, anyone starting a new plumbing business should be extremely good at it. Thus, stakeholders involved when starting the business should have enough knowledge about the plumbing industry. They should know everything about plumbing, the potential market, and how to gain competitive advantage to survive the highly competitive market. Without such core knowledge of the industry, chances of succeeding will be very slim despite the greatness of your business plan and strategizing process. In conclusion, it’s relatively easy to establish a new plumbing business. Setting up a successful plumbing business will deliver on your short-term and even long term goals. However, doing it successfully demands having an innovative strategy to develop and implement an effective business plan. It’s important to note that courage and effort aren’t good enough without direction and purpose. Thus, starting any plumbing business demands direction and purpose in addition to courage and effort.